Once you meet us, you'll see how we push each other to new heights. The difference between success and failure is often the people involved. Once you meet our experts, you'll see how we get our lift. We're energized by our work and the people we serve. That starts with our unwavering commitment to our team and their families. We foster an environment of trust, balance, and reliability by taking care of our employees and our clients' needs, from start to finish. Our clients count on us to help distance their business from the competition. We hold ourselves accountable to hitting the mark every time, and we empower our team to explore all options and target the best creative solutions. We expect, and capitalize on, the unexpected. Our team sets a high trajectory and maintains momentum to see it through. We apply our collective expertise toward client challenges and complex projects. 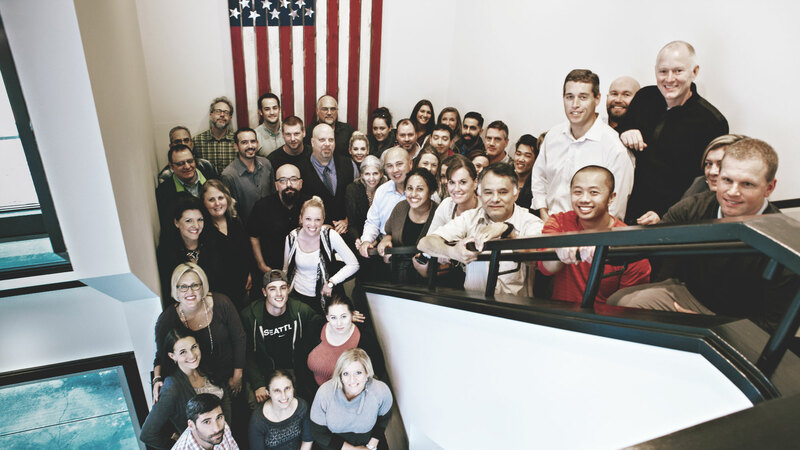 We win as a team, and we do it the right way, with a shared focus on transparency, fun, and going the extra mile. Please send referrals to hello@averro.com with your name as the source. The Averro team is the foundation of our Uncommon Commitment to client satisfaction, timely support, and unmatched consultant care. The name evokes the words: “aver” \ ə-ˈvər \, which means to state as true or assert as a fact, and “arrow” — both of which speak to our straight and true approach to business. Launch Consulting acquired the Bellevue-based Averro in 2015, when it was one of the Puget Sound’s Fastest Growing Businesses. 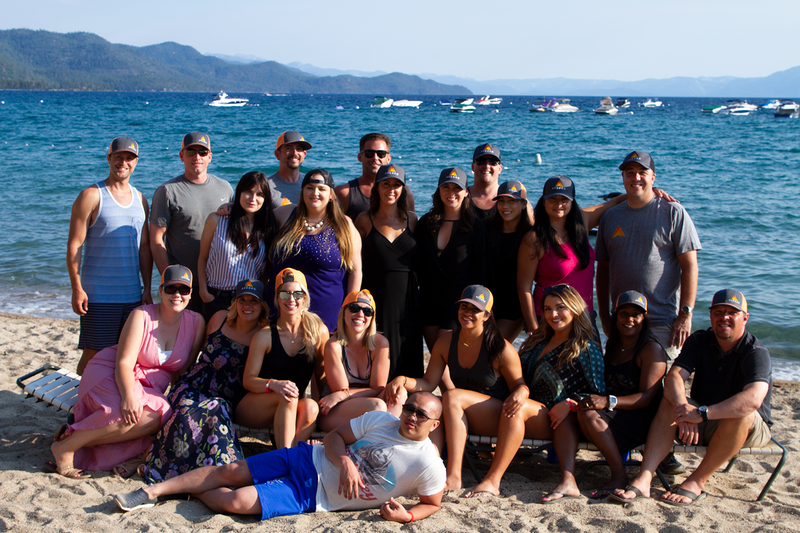 In 2018, we decided to honor Averro’s roots as we branched off into a separate company after more amazing growth, fueled by world class clients and consultants. 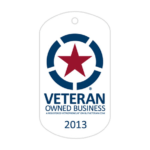 Founded by Army and Air Force Veterans, we believe employing Veterans is smart business and gives companies an advantage in leadership, real-time problem-solving, accountability, drive for results, and a can-do, never-quit attitude. 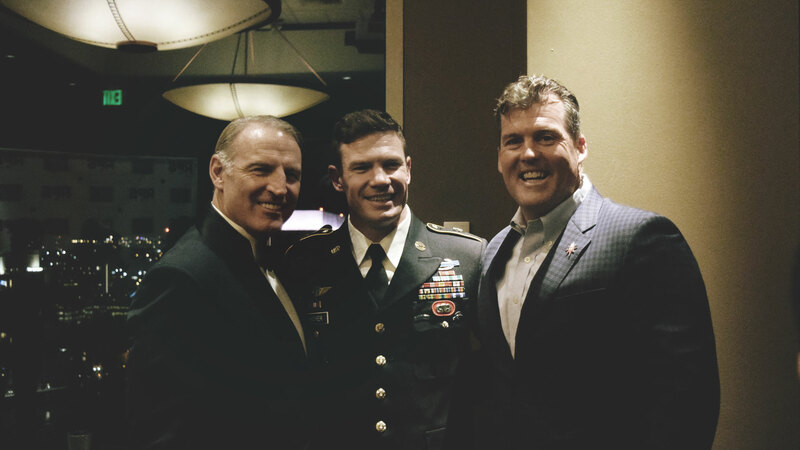 Army Ranger Veteran John Sercu, Green Beret and former Seahawks Long Kicker Nate Boyer, and Air Force Veteran Rick Nelson at the USO Pathfinder Fundraiser. USO Pathfinder specializes in connecting servicemembers, Veterans, and their families to resources to develop a clear plan for their path forward and we proudly support their mission. You'll find a handmade American flag proudly displayed on every campus, dedicated to Veterans and active servicemembers.We are thankful for the opportunities and safety provided by those that serve our nation.